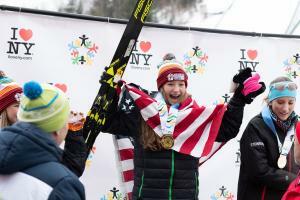 Next program to air Saturday April 13 on NBC at 9 a.m.
Lake Placid, N.Y. – Over three months have elapsed since Lake Placid hosted the International Children’s Winter Games (ICWG), yet the message created by the young participating athletes continues to resonate through syndicated television. Emmy Award-winning Teen Kids News (TKN) - a weekly 30-minute television program – will air the second segment from Lake Placid. It is hosted, once again, by 12-year-old Lincoln Norfolk and produced by John F. Morgan. Enjoy a Great Day of Skiing or Learn to Ski or Snowboard for a Great Price! 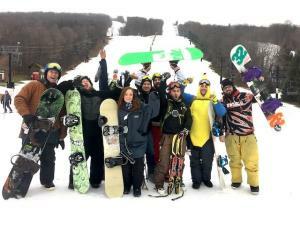 Back for the fifth year, the extremely popular I SKI NY "Discover NY Ski Day" will return on January 17, 2019, offering skiers and riders the chance to enjoy ski areas across New York State for as little as $12 per lift ticket. Learn to ski or ride packages are available as part of the event, starting at $25 at participating ski areas. 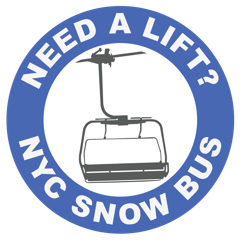 New York, N.Y. – NYC Snow Bus has announced the launch of the 2018/2019 – ski/snowboard season, beginning December 1, 2018 (or sooner if the mountains open in November). Snow is already falling, and the NYC Snow Bus is ready. March 5, 2018 – Governor Andrew M. Cuomo today announced the International University Sports Federation selected Lake Placid as the site for the 2023 Winter World University Games. Delegates from the Adirondack North Country Global Sports Committee and FISU signed a memorandum of understanding at the FISU headquarters in Lausanne, Switzerland last week after nearly a year and a half of negotiations. This will be the second time Lake Placid has hosted the Games, the first time being in 1972, and the third time New York State has hosted, with Buffalo hosting in 1993. The Games have never been hosted by another state in the U.S.
Poughkeepsie, N.Y. – The 38th annual Empire State Winter Games will kick off on Thursday, February 1 and will run until Sunday, February 4 in Lake Placid. More than 2,500 participants will compete in 17 different sports during the three-day multi-sport festival. The Games will kick off with an inaugural Torch Relay departing from New York City. A significant portion of their route between NYC and Albany will follow the future Empire State Trail. As a designated Empire State Trail Gateway, the Walkway Over the Hudson will be one of the main stops along the way. Canton, N.Y. – Are you ready for the upcoming Winter Olympics in Pyeongchang? Learn more about the history of the Olympic Winter Games when Mark Friden speaks at noon on Thursday, January 18th, at the St. Lawrence County Historical Association. The talk will cover his involvement in figure skating as a competitor and as an official, leading up to his work for ABC Sports as their technical consultant for figure skating at the Sarajevo Winter Olympics. Brown Bag Lunches are free and open to the public. Bring your own lunch and enjoy a beverage and dessert provided by SLCHA.